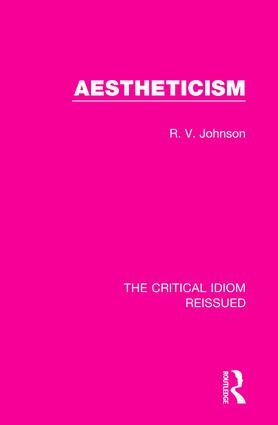 First published in 1969, this work explores aestheticism and its relationship with literature. After defining the term and examining the unique qualities of ‘the Aesthetes’, the book provides an overview of the literary movement from its emergence to its apotheosis in the 1890s. This book will be of particular interest to those studying 19th Century literature.